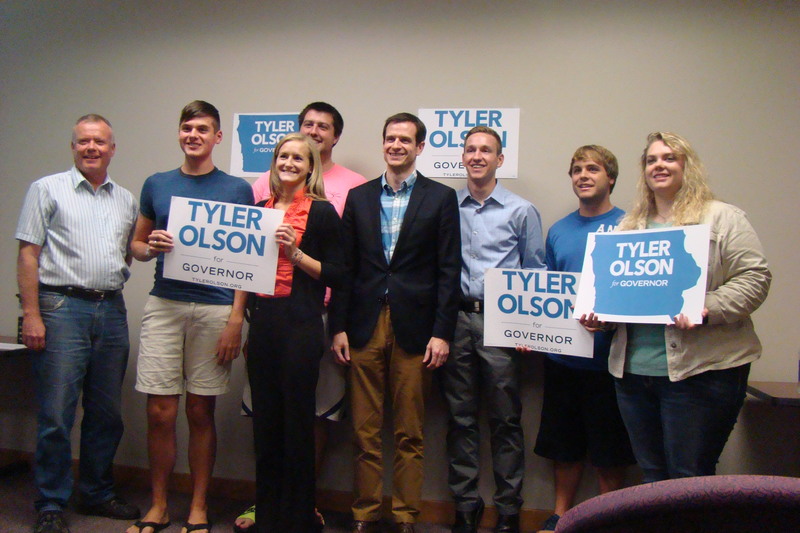 Iowa state Rep. Tyler Olson met with the Loras College Democrats and other students, staff and members of the community last Wednesday while campaigning for the Democratic nomination for Iowa governor. Olson, who lives in Cedar Rapids, has served in the Iowa state House of Representatives since 2007 and recently stepped down chair of the Iowa Democratic Party. A University of Iowa law-school graduate, the 37-year- old Olson said that “15 years is enough,” referring to current Iowa Gov. Terry Branstad’s non-consecutive years of service at the helm. Olson said his extensive experience in appropriation and finance committees makes him a champion of budgeting and money management. Olson touched on other hot-button issues as well. Though he did not go in to detail, he said that he does support immigration reform on a federal level and encourages voters to see the issues as a “human one,” reinforcing the humanhood of migrant workers who are often employees on Iowa farms. He said the protection of these workers and the protection of small farmers from corporate farm takeovers are two major factors impacting agriculture in the Hawkeye state. Olson explained that a significant percentage of farmland is owned by people older than 60 and that a tax incentive has been developed to encourage farmers to sell to the next generation. A former employee at his own family’s small electric company, Olson insists that keeping things local is key. Iowa state Rep. Chuck Isenhart, who is a 1981 Loras graduate, was in attendance and spoke at the end on behalf of his colleague’s session to endorse him as a prospective Democratic nominee for governor. “He’ll make a great governor,” said Isenhart after chuckling over what was, perhaps, the students’ most favorite discussion point.